RICHMOND will take an unchanged line-up into Wednesday night’s clash against North Melbourne, fielding close to its best 22 in a dress rehearsal for round one. 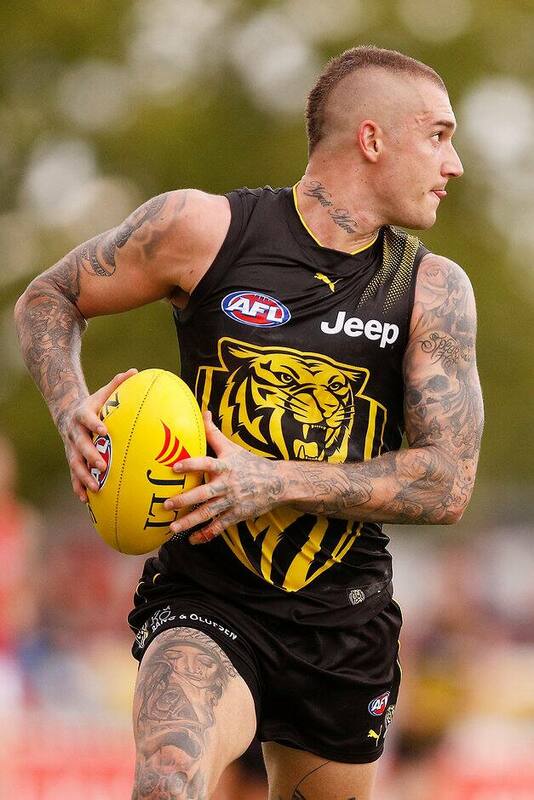 The Tigers have names 19 of their 22 premiership players, with Brownlow medallist Dustin Martin a confirmed starter against the Kangaroos at Ikon Park. Small forward Shai Bolton was given the nod ahead of prized draftee Jack Higgins, who was an emergency, as Damien Hardwick decides on an early-season replacement for Daniel Rioli. Ruckman Toby Nankervis has also been named after being concussed in the early stages of Richmond’s JLT Community Series win over Essendon in Wangaratta. North Melbourne will also go in as named on Wednesday night in what will be both teams’ final pre-season hit-out before round one. JLT Community Series: When's your team playing?